Three, EE and Vodafone had all announced plans to launch VoLTE services this year, but Three is first out the gate with it, as it’s just rolled out its 4G Super-Voice service, which is VoLTE in all but name. You can head over to our VoLTE guide for an in depth look at the technology, but essentially it allows you to make calls over 4G, which has a number of advantages. For one thing it improves call quality, giving you a more HD experience, as 4G can carry more data. It also improves call connection times and can potentially lengthen your battery life, as your phone won’t need to switch between signal types as much. Plus it could mean you’ll get signal in more areas, as you’ll be able to make calls where there’s 4G but no other types of signal. All of this comes off the back of Three’s 800MHz spectrum rollout. Previously the network was just using 1800MHz spectrum, which is shorter range and not as good at penetrating walls, so the new spectrum will expand coverage, especially indoors, and plug blackspots, leading to an all-round better experience. 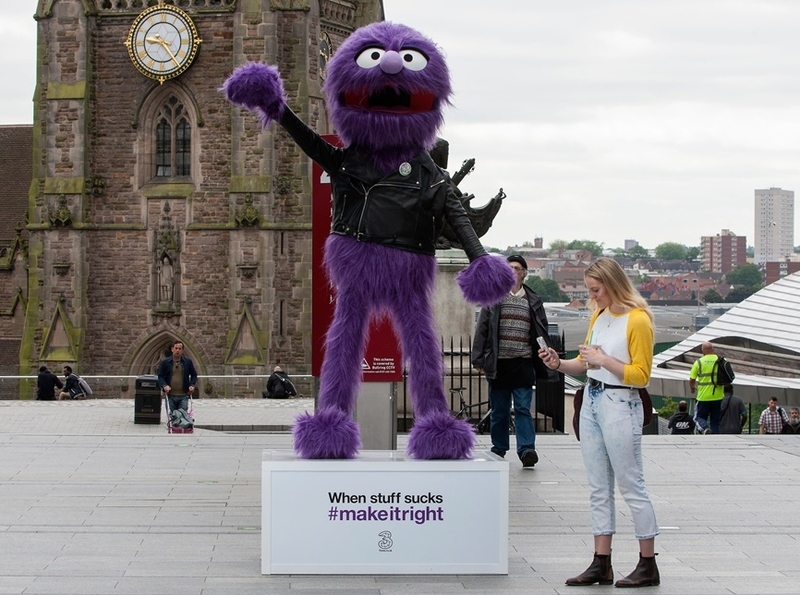 Already the network has brought Three 4G Super-Voice to 50% of the UK population indoors, through rollouts to more than three quarters of London, Edinburgh, Exeter and Birmingham and it’s working on expanding coverage to Cardiff, Manchester, Liverpool and Bristol. That’s just the start though. By the end of the year Three intends to have 65% population coverage, while by 2017 it expects to have brought 4G Super-Voice to up to 5.5 million customers. Director of customer strategy, Danny Dixon, said: “Not being able to use your phone as and when you want, no matter where you are, is one of the biggest pain points for customers. Today’s announcement is the latest step in our efforts to offer customers a quality experience on what is already the UK’s most reliable network." At the moment coverage isn’t the only limiting factor, as Three also needs to send an update to phones to make them compatible. So far only the Samsung Galaxy S5 has received that update, but the LG G4 will be getting it very soon, with the iPhone 6s, iPhone 6s Plus, iPhone 6, iPhone 6 Plus, Samsung Galaxy S6, Samsung Galaxy S6 Edge, Samsung Galaxy S4, Samsung Galaxy Alpha, Samsung Galaxy A5, Samsung Galaxy A3, Samsung Galaxy Note 4, Samsung Galaxy Note 3, LG G3, HTC One M9, HTC One M8 Microsoft Lumia 735, Microsoft Lumia 640 and Huawei Honor 6+ all likely to receive the update within the next few months.